1. square shaped back flip to protect more on the neck from the sun. 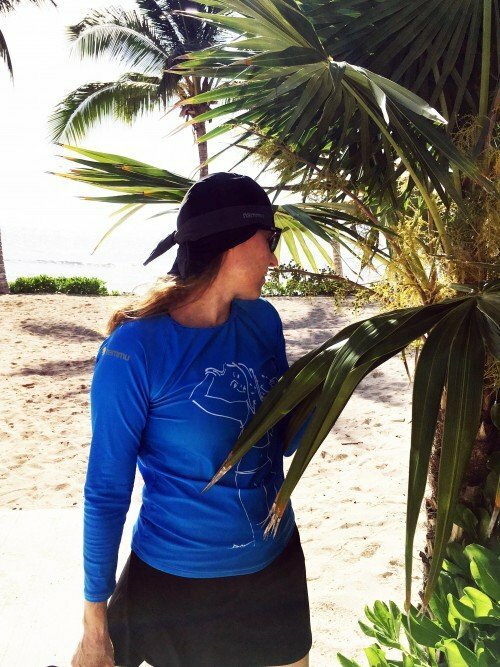 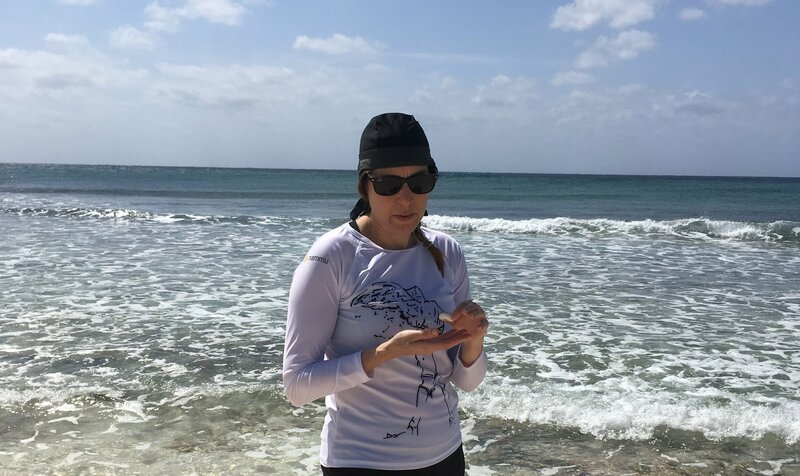 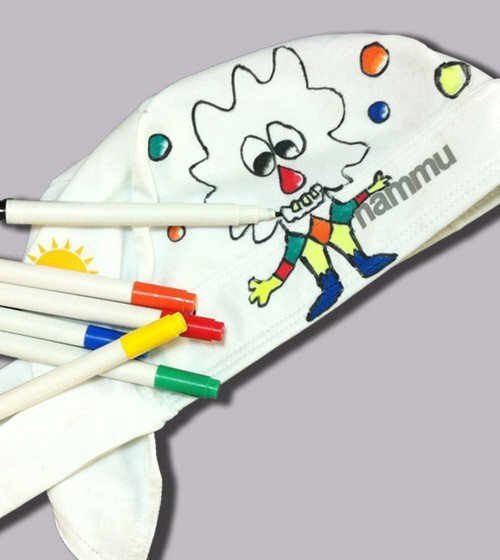 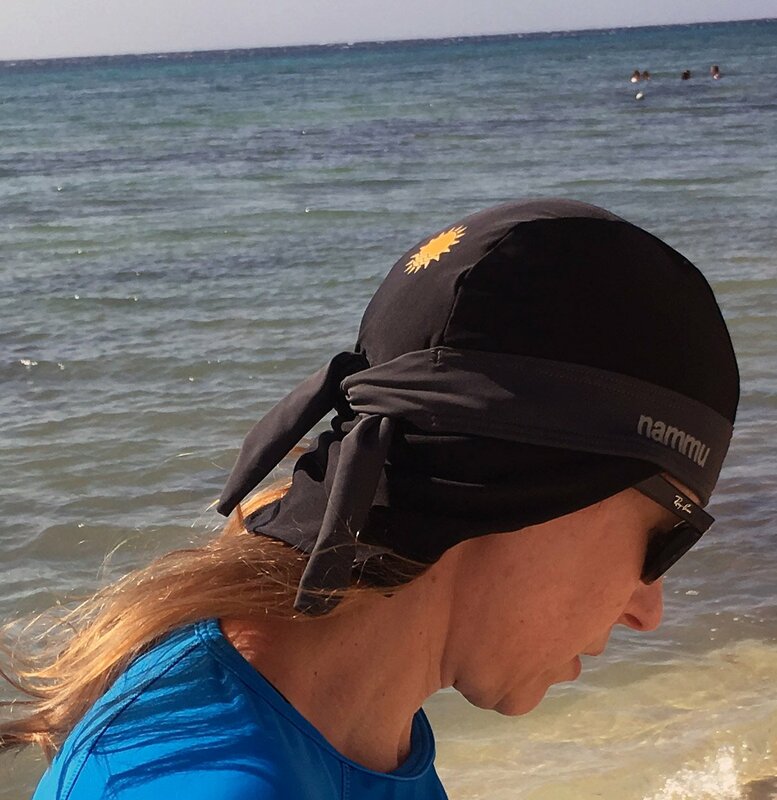 Nammu swim bandana hats are a stylish UV protective swimming hat designed to protect the head from the sun while in and around water. 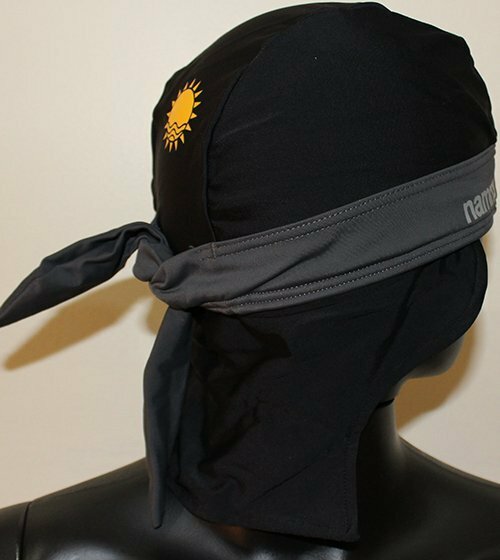 and stylish gray colored ribbon around. 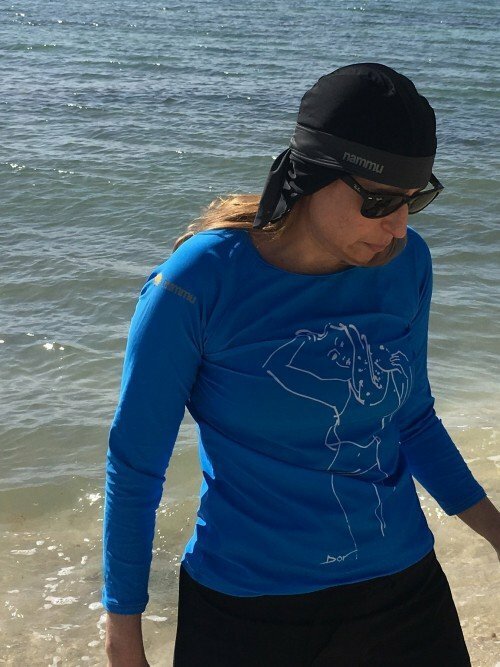 Perfect for swimming and snorkeling protection. 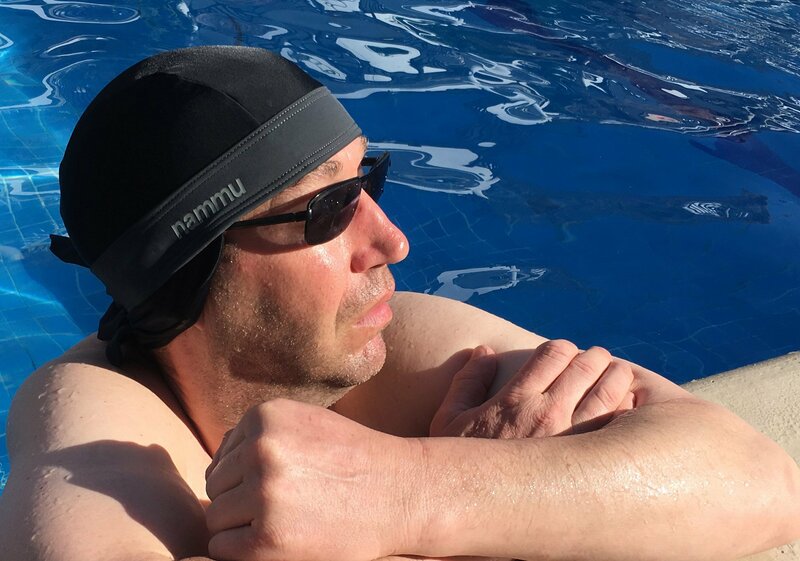 Works well with goggles and snorkel gear.